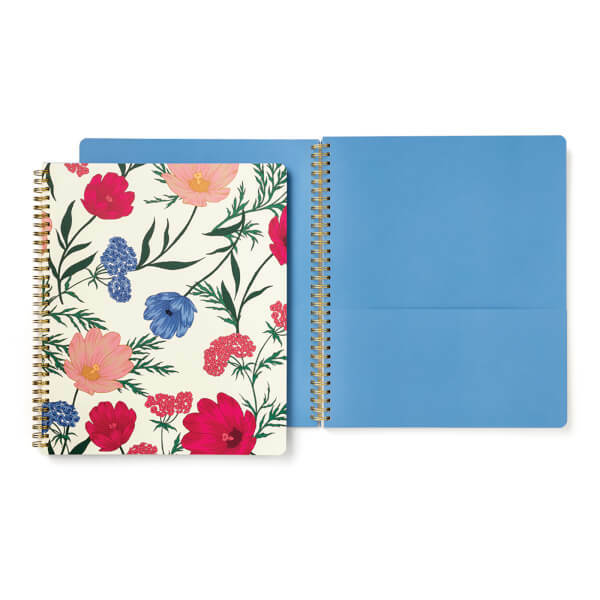 Brighten up your daily doodles and musings with the Kate Spade Large Spiral Notebook. Beautifully decorated in painted blossoms, the spiral bound notebook contains 160 lined pages and has a useful interior pocket. Perfect for school, college or work use, the lovely notebook will also make a thoughtful gift idea for any stationery fan.